How does the ELCA understand heaven and hell? We’ve all heard it, and perhaps even said it: “Go jump in the lake!” Yet few realize that originally, according to some etymologists, the phrase was really “Go jump in the lake of fire,” a euphemism for “Go to hell” that comes from the book of Revelation’s descriptions for the final judgment of Satan and his followers (19:20). Similarly, we’ve all heard about meeting Peter at the pearly gates, which combines the notion that Jesus gave him the keys to “the kingdom of heaven” (Matthew 16:19) with the “gates of pearl” (Revelation 21:21). These two examples—and there are countless others—warn us from the outset that any talk about heaven and hell (eternal blessing and judgment) must be based not on images that Christians later constructed (especially from sources like Dante’s Inferno or John Milton’s Paradise Lost) but rather on careful reading of Scripture and reflection on traditional words and pictures. Christians today talk about heaven far more than does the Bible, which focuses its comments not on dying and going to heaven but on the resurrection of the dead. Martin Luther noticed this and rarely speculated about life after death, often comparing the individual’s experience of death and resurrection to falling asleep and waking up at the sound of the trumpet on the last day (1 Corinthians 15:52). Similarly, in Philippians 1, Paul speaks of a desire “to depart and be with Christ, for that is far better” (23). Again, instead of speculating about life after death, Paul puts the emphasis on being “with Christ.” Thus, Jesus’ promise to the thief and Paul’s yearning remind us of the single most important thing about life after death and about the resurrection of the dead: We will be with Christ. The New Testament also uses the concept of a banquet to describe heaven and final judgment. This picture, too, is worth a thousand words because the point is not to wonder how there will be food in heaven or how resurrected bodies will eat (1 Corinthians 15:35-49), but rather to make it clear that being in Christ’s presence is sheer joy. For the poor and often hungry people of the first century (and today), no picture expresses joy better than a banquet. Every week, Christians gather around the Lord’s table and participate in a “foretaste of the feast to come” (Evangelical Lutheran Worship [ELW], 181). The picture of a banquet rejects individualistic views of Christianity and heaven; there is always a communal aspect to heaven. John W. Doberstein, a professor at the Lutheran Theological Seminary at Philadelphia in the 1950s, wrote a prayer in his popular Minister’s Prayer Book describing resurrection as the day “when heart shall find heart, and those sundered on earth shall foregather in heaven,” particularly comforting for those of us who mourn the death of loved ones. On the other hand, Jesus also uses the word Gehenna (a smoking, stinking garbage pit outside Jerusalem) to describe a place of suffering and torment for those whose selfish unbelief separates them from God. These two images come together in the parable of the rich man and Lazarus (Luke 16:19-31), which uses the word Hades. Lazarus, the poor man, has no one to bury him, so instead, the angels miraculously carry him directly to “Abraham’s bosom”—that is, he reclines with Abraham at the final banquet. The rich man, as was normal in Jesus’ day, gets buried. But for him, death is not a place of waiting or sleeping, but a place of torment because instead of loving his poor neighbors in this life he feasted in his gated house. It seems here that Jesus combines the punishment of Gehenna and the shadowy place of the dead, so the rich man’s tormenting thirst (nothing could be worse in a desert climate than lack of water) is the direct consequence of not caring for a neighbor in need—a clear warning in our day too. Even the resurrection of Lazarus has no effect on such uncompromising self-centeredness: the love of money is such an opiate that the rich man’s brothers will not believe “even if someone rises from the dead” (31). This story and others like it in the New Testament teach that God, in Christ, is in charge of the blessing of heaven and the judgment of hell—we are not. Moreover, the judgment of hell results from stubborn unbelief—not “fearing, loving, and trusting God above all else” (Luther’s Small Catechism, first commandment)—so that in the Gospel of John, punishment for this complete lack of trust occurs already in this life: “Those who believe in him are not condemned; but those who do not believe are condemned already, because they have not believed in the name of the only Son of God. And this is the judgment, that the light has come into the world, and people loved darkness rather than light …” (3:18-19). Because the Bible says so little about this, our human curiosity kicks into high gear, and we want to know more than we can (or should). Indeed, as soon as we begin prying into God’s business and take judgment into our own hands, we miss the point. The point of heaven and the resurrection is this: Nothing can stand between believers and God’s gracious love or Christ’s comforting presence. With Paul in Romans 8:38-39, we can say, “I am convinced that neither death, nor life … will be able to separate us from the love of God in Christ Jesus our Lord.” That is what we need to know as we mourn or grieve or face our own mortality. As Luther put it when he explained the phrase “deliver us from evil” in the Small Catechism, we pray that our heavenly Father at the last, “would take us by grace from this valley of tears to himself in heaven.” That’s enough. The God who judges and condemns evil lifts all condemnation through Christ’s death and resurrection, applied to us in baptism and consummated in the life to come. Two examples from Luther’s career show how we may deal with complicated arguments about these matters. The first regards Jesus’ descent into hell. Theologians offered different theories about what this meant. One (supported by theologian and reformer John Calvin) contended that this descent was metaphorical and took place in Jesus’ suffering on the cross. Others insisted on a literal descent to hell (1 Peter 3:18-20), where Christ preached to the dead (1 Peter 4:6). Luther found this debate far too speculative and urged his followers not to concern themselves with such things. Nevertheless, he supported the view of the ancient and medieval church that Christ proclaimed his victory over sin, evil and death even in hell. Luther even preached a sermon about this in 1532, translated in Robert Kolb and James Nestingen’s Sources and Contexts of the Book of Concord (Fortress, 2001). Indeed, we are like addicts who claim they’re free to stop using any time they want. In this case, Luther argued, human beings are addicted to claims of having control over their relation to God. Near the end of his tract, Luther insists that the fact that only God can save us does not imply any unfairness in God toward those who reject God, and he makes the following analogy: By the light of nature, it looks as if this world is completely random because evil often seems to triumph over good. However, by the light of grace, we discover God’s mercy in Christ toward the poor, the sinner and the dying. In the end, God will put an end to evil. But then a second question arises—namely, why some people reject God and only trust in themselves. The light of grace seems to reveal a deep unfairness in God. Why Jacob and not Esau? Why Peter and not Judas? And, as Paul writes in Romans 9, why me and not my Jewish relatives? Human reason, Luther argues, cannot solve this conundrum. For this we must wait until the last judgment and the light of glory, when God’s mercy will be vindicated, all evil will be defeated and God will be all in all. 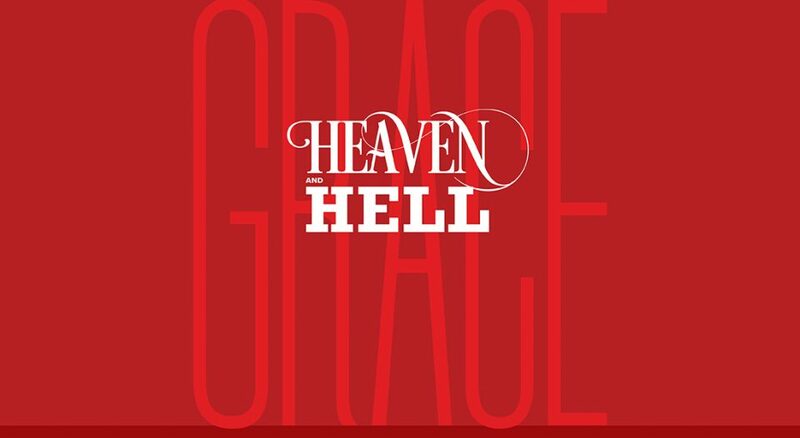 When Karl Barth, one of the 20th century’s most influential theologians, was asked by a student whether there was a hell, the story goes that he answered unequivocally, “Yes,” adding, “but it’s empty.” He wanted to emphasize God’s sovereign grace, but perhaps he went a bit too far. We might better say about heaven and hell that, yes, they exist, but that whether they are full or empty is up to God, not us, which is why we both confess in the creed that Jesus (not human beings) will “come to judge the living and the dead,” and sing with Archbishop Desmond Tutu, “Goodness is stronger than evil” (ELW, 721). It’s October, and that means the cultural images of heaven and hell (especially hell) will be in full display in our stores, on our homes and in the costumes our children will wear while trick-or-treating. However entertaining they may be, these images don’t resemble the heaven or hell described in the Bible. Which raises the issue: What do we believe about heaven and hell, and where did we get such ideas?